The Senate Judiciary Committee issued a subpoena late Monday to compel former Trump campaign manager Paul Manafort’s appearance at a public hearing on Wednesday. The abrupt move comes after lawmakers and Manafort apparently were unable to reach an agreement for a private, transcribed interview. “While we were willing to accommodate Mr. Manafort’s request to cooperate with the committee’s investigation without appearing at Wednesday’s hearing, we were unable to reach an agreement for a voluntary transcribed interview with the Judiciary Committee,” Chairman Chuck Grassley, R-Iowa, and Ranking Member Dianne Feinstein, D-Calif., said in a joint statement Tuesday. The hearing is part of the panel’s probe into Russian meddling and potential collusion with Trump campaign officials in the 2016 presidential election. The Judiciary Committee is set to hold the hearing Wednesday morning and had invited both Donald Trump Jr. and Manafort to testify. 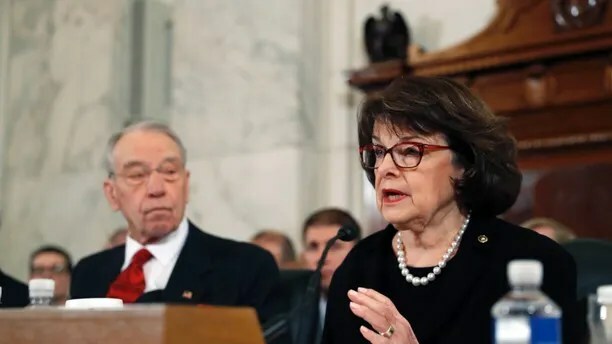 Senate Judiciary Committee Chairman Chuck Grassley, R-Iowa left, and Ranking Member Dianne Feinstein, D-Calif. right, on Capitol hill in January 2017. However, according to Grassley and Feinstein, Manafort’s attorney then said he would be willing to provide only “a single transcribed interview to Congress” and it would not be available to Judiciary Committee members or staff. Manafort’s spokesman Jason Maloni told Fox News that Manafort did, however, meet Tuesday with lawmakers on another Senate panel. “Paul Manafort met this morning, by previous agreement, with the bipartisan staff of the Senate Intelligence Committee and answered their questions fully,” Maloni said. “While the Judiciary Committee was willing to cooperate on equal terms with any other committee to accommodate Mr. Manafort’s request, ultimately, that was not possible,” Grassley and Feinstein said. The subpoena, issued Monday evening, forces Manafort to appear at the hearing on Wednesday. 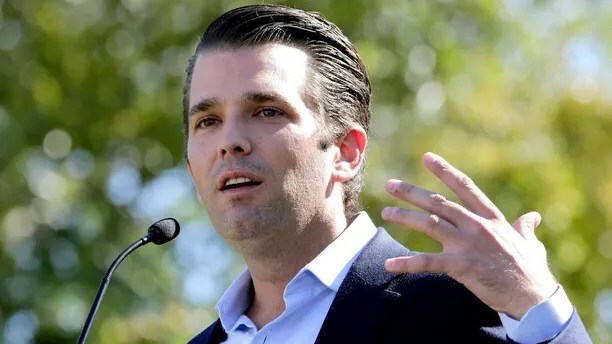 Donald Trump Jr. on Nov. 4, 2016 campaigning for his father, in Gilbert, Ariz.
“As with other witnesses, we may be willing to excuse him from Wednesday’s hearing if he would be willing to agree to production of documents and a transcribed interview, with the understanding that the interview would not constitute a waiver of his rights or prejudice the committee’s rights to compel his testimony in the future,” Grassley and Feinstein said. Whether in private or public, lawmakers likely want to ask Manafort and Trump Jr. about their attendance at the June 9, 2016 meeting at Trump Tower with Russian lawyer Natalia Veselnitskaya and her associates. Since revelations of that meeting surfaced, Trump’s son-in-law and senior adviser Jared Kushner have been called to speak before two congressional panels. Kushner was in closed-door meetings Monday and Tuesday on Capitol Hill. The Judiciary Committee also subpoenaed co-founder of Fusion GPS, Glenn Simpson, after his research firm allegedly hired a British intelligence officer who compiled a dossier of allegations involving Trump and his ties to Russia. According to the Associated Press, Simpson will not testify publicly but will have an interview in private with the committee.